For extra security, most drivers now opt for the dual lens dash cams which record what is going on behind their vehicle as well as what is happening in the front. The dual lens dashboard cameras typically comprise of two cameras: the front unit mounted to the windscreen and smaller camera which records out of your car’s rear window simultaneously. However, finding the best dual lens dash cam with so many options available can be challenging. In today’s article, we will be discussing in details of the Ispring Dash Cam Rearview Mirror Car Video Recorder. 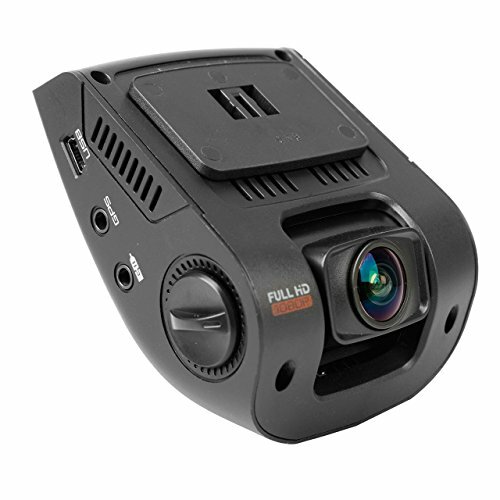 The front camera has a 120-degrees viewing angle and is capable of delivering Full HD 1080p signals, whereas the rearview camera can provide a 480p VGA signal. 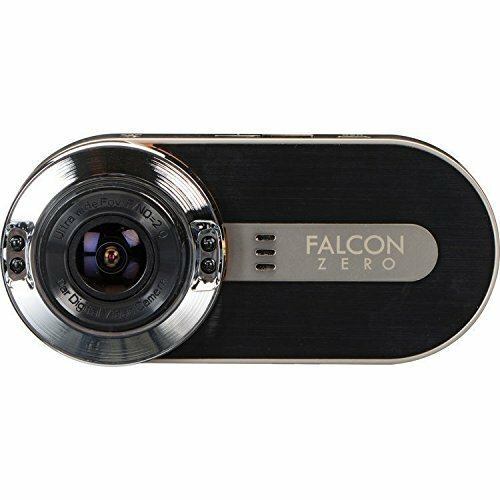 As well as the brilliant camera, this dual lens dash cam system features a bright and clear 4.3-inches LED screen to view what you have captured easily. Also, it provides you a peace of mind in case of an accident as it allows for immediate footage to show the insurance companies or police in the results of the crash. The dash cam is capable of detecting motion, a feature which comes in handy when parking your car. Additionally, the loop recording turns on automatically, recording when the engine starts to capture more of your journey. This dual lens system also comes equipped with a built-in rechargeable battery, microphone, and built-in speaker for audio recording and playback. Additionally, this accessory features G-Sensor of severe impacts, motion detection, and parking mode. Also, the front camera features night vision capability. The package comes included with everything you need for the installation. It also includes a free 16GB memory card, card reader, rear camera, user manual, color box, two rubber rings, and DVR48B Dash Cam. It is quick and straightforward to install. Comes included a 16GB micro SD card. It offers smooth, high-quality recording. The rearview camera is waterproof. Comes backed by 1-year limited warranty to cover any issues. The dash cam is a little bulky. It limits up to the 32GB memory card. If you are a looking for the best inexpensive in-mirror dash cam, then the Ispring Dash Cam Rearview Mirror Car Video Recorder can be the best buy for you. Despite its low price tag, this cam delivers well in terms of performance and even quality. If offers Full HD 1080p resolution, something you do not easily get in low-priced dash cams. It also gives loop recording for continuous capture. Can anyone tell me how to make your setting stay once you turn it off. Every time the unit turned off the date and time and all the settings go back to the original. Hi April, It sounds like your camera’s battery might be dead or your SD card might be faulty. You could try using a different, known good SD card in your dash cam. If the issue remains you most likely have a dead battery. You will need to contact the manufacturer/retailer for a warranty replacement. Is it possible to get longer wires or an extension to the wires included in the box? Hi Michael. I’m not sure which cable you are talking about but if it is the Micro USB cable, then I can recommend the StarTech.com 0.5m 20″ Micro USB Male to Micro USB Female Cable (USBUBEXT50CM). Good quality at a reasonable price. There are also “dash cam hard wire kits” available for some models of dash cam, unfortunately, nothing specifically for the ISpring. Sorry for not being specific. i would need a loner cable for the rear view camera, or an extension for it. i have a long vehicle and the included wire does not make it all the way back. Also, is there a way to flip the rear view image on the screen? The location and position I want to instal the camera makes the image on the screen to be upside down. Hi, You might be able to use a “universal style” extension cord for your rear view dash cam like this one. Check the connections first to make sure it will fit. The only other alternatives ar to make the routing more direct or to get a bespoke cable. I don’t believe it is possible to flip the rear dash cam image. It might be easier to modify the mounting bracket. Hi can you tell me when playing Visio back on computer it won’t play picture it comes out distorted and fuzzy lines. Hi Caron. Most HD video camera these days record video in the AVCHD format. AVCHD video requires heavy decoding (i.e. a lot of computer resources), more than most computers can handle while simultaneously providing real-time playback. So you get choppy images and mismatched sound. The actual video is fine, it’s most likely your computer is just struggling to decode and play it back. You need to ensure that you copy the video files from your SD card to your computer and then use the software supplied with your dash cam to play back the video. Do you know if the ispring dash cam after the card is full will automatically start recording over previous footage or do you have to format when full? Most car dashboard cameras overwrite previously recorded footage. Additionally, it is recommended to completely format the memory card of your dashcam at least once a month to keep it in good health. Do not use the option to “Quick Format”. A complete format ensures the card is fully formatted and ready for use. Once the format is complete, right click again on the memory card and select “Eject”. Then just insert the memory card back into your dashcam and you are set to go! How do I get the screen to default and always show the back up camera view?.. I would like that view on all the time without having to select it with the arrows?. Also, I am having trouble with the technology set-up after install, is there an email or support line I can call??? I suggest you take a look at this forum: Dash Cam Talk. There are a few ongoing discussions about the ISpring Rearview Mirror Dash Cam. How do I get it to loop? How do I get it to record all of the time? Not just when it wants to. Just bought this dash cam but I can not figure out how to make it loop record or how to get it to record all of the time and not just when it wants to. Any ideas on how to do this would be a great help.